God is working in us to conform our character and will to be like his own. God is a giver. 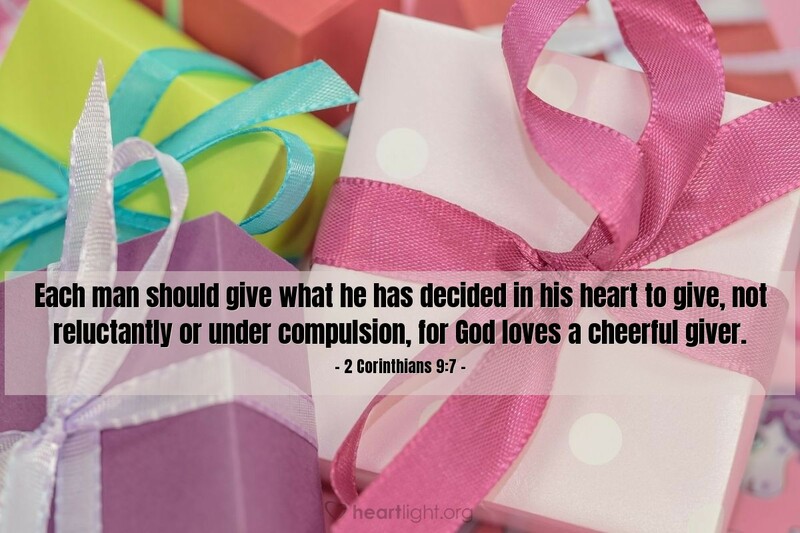 God finds delight in generously blessing us. Now he asks us to do the same. Giving is not some arbitrary task given us to support our churches and ministries; no, giving is part of our character transformation to become more like God. It may be one of the truest ways we have placed our allegiance, dependence, and priorities in the gracious work of God. Father, forgive me for the times I have been miserly with the abundance you have shared with me. Make me a conduit of blessings. I know that all I have is yours. Please help me use it as you would. In Jesus' name. Amen.